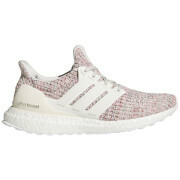 Combining sport-proven performance with sleek style, the Ultraboost recaptures the feeling of your best-ever run. Built for the dedicated runner, these shoes deliver superior long-distance support. 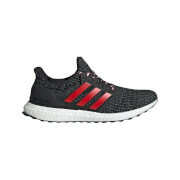 They feature a sock-like adidas Primeknit upper that adapts to your foot's changing shape as you run. A moulded heel cradles your foot for a stable stride, while energy-returning Boost fuels every step. A super-grippy outsole provides exceptional traction in wet and dry conditions.